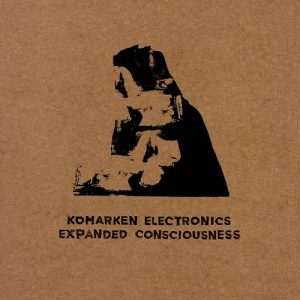 Brokntoys is not taking any breathers: after recent twelves by IPTWDIP and London Modular Alliance, the UK label resumes the stream of splendid electro releases with “Expanded Consciousness” by the Swedish act Komarken Electronics. Along with an album on Stilleben, an EP on Solar One Music and appearances on various other labels, Komarken Electronics has a number of self-released tunes under his belt but still the artist from the Swedish small town Kungälv could be considered as rather unknown in the electro world. However, writing tracks since 2006 means a remarkable experience that is reflected in the new twelve. Gentle pads are flickering in the crisp-sounding opener “Early Mornings”, which is an expression of natural purity, driven by accelerating sequences and subtle choral voices. Machine soul is perceived in “Bubble Theory”, a rational sound statement with whipping stabs and processed human hum. On the B-side the title track “Expanded Consciousness” rolls out with Drexciyan rubbing synths and develops into a shiny yet tight electro tune, again with human-like voices in the background. A real U-turn happens in the last cut where not much is left of the original in Delta Funktionen’s technoid charge of “Early Mornings”, a stomping and a bit trancy feel-good piece with gnarly synth work and hints of disco. Again, highly stimulating tunes on Brokntoys.